Cheerleaders aren't very common in Europe, as it's a concept reserved for only a few sports, including basketball imitating the NBA, but we're all very aware of what they're all about. We've all seen movies featuring high school cheerleaders... and that's what the game developed by Coco Play By TabTale is all about, a great entertainment for when you get fed up of playing GTA or Call of Duty. 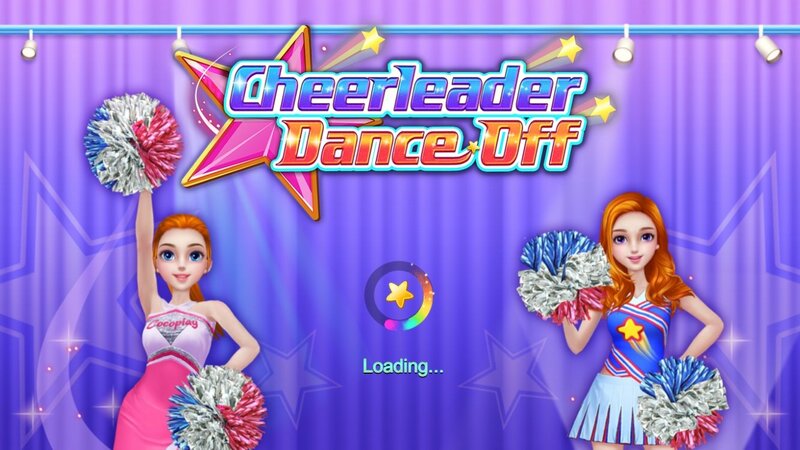 The plot of Cheerleader Dance Off - Squad of Champions is quite typical in this kind of game: the main character is new at school and she needs to become popular. And what could be a better idea than becoming a cheerleader of the school's football team? So, put on your outfit, fasten your skirt, pick up your pompoms, choose some decent makeup, and start learning dance steps that will rise you above the rest of your classmates. Who cares about them losers? Physician? Vet? President of the USA? Nope, your dream is to become a cheerleader. Get an audition for the cheerleader team. Try to flirt with the basketball team's handsome captain. Get ready for the cheerleader competition by changing your aspect. Choose the most appropriate clothes, hairstyle, and makeup. Relax in the spa before the competition. Go the gym to workout. As you can see, this game that is also available in APK format for Android (just in case you know somebody who's very eager to play) will definitely satisfy your vital expectations. Furthermore, here at Malavida you can also download Nerdy Girl, developed by the same studio, that's more of the same.